The Russian postal service’s first drone delivery ended abruptly after its 7-kilogram quadcopter smashed into a wall shortly after takeoff in Siberia. 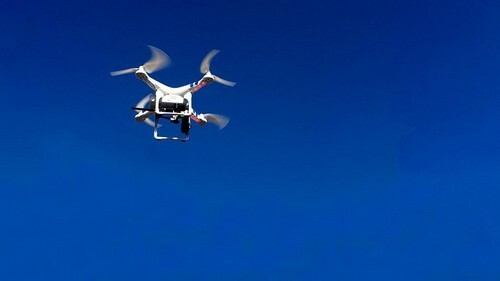 The republic of Buryatia’s capital of Ulan-Ude was chosen as a testing ground for the Russian Post’s mail deliveries to remote regions by drone. In the trial, the Russian-made drone was due to carry a 2-kilogram package to a nearby village, but smashed into the wall of a nearby house shortly after take off, Baikal-media.ru reported Monday. The damage was estimated at 1.2 million rubles ($21,000), according to the Moskovsky Komsomolets tabloid. “There are plans to test heavier drones capable of carrying cargo of up to 300 kilograms. That’s scary to even imagine,” the newspaper editorialized. Despite the first failed launch, Tsidenov vowed to continue with the pilot project for drone deliveries. “We definitely won’t stop with this, we’ll continue trying. Those that don’t risk, don’t achieve results,” he was cited as saying on Monday.